Xiaomi’s entry into the consumer TV space in India has had a strong effect on the market, bringing prices down while offering better specifications and features. Today, it’s possible to buy a 4K TV at a price that is less than Rs. 1,000 per inch of screen even from well-known brands. One of the first brands to offer competitive pricing and disrupt the TV space was Vu, which has launched its latest range of TVs in India. 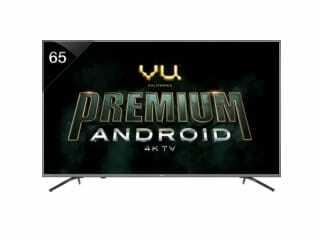 The Vu Premium Android 4K TV range has been launched in India, priced from Rs. 30,999 onwards. The range is available in four size options with 43-inch, 50-inch, 55-inch and 65-inch TVs available. Regardless of the size, the TVs all have 4K-resolution (3840×2160 pixels) LED display panels. There is also support for HDR10 and Dolby Vision for high dynamic range content, along with Dolby audio tuning. The TVs run on the official Android TV platform, with Android 8.0 Oreo, Google Assistant and support for apps through the Google Play Store. The TV range also comes with the Vu ActiVoice remote. The remote has dedicated buttons offering direct access to the Google Assistant, YouTube and Google Play. The pricing of the range is as follows – Rs. 30,999 for the 43-inch option, Rs. 36,999 for the 50-inch model, Rs. 41,999 for the 55-inch model and Rs. 64,999 for the 65-inch variant. The TVs are available to buy on Flipkart, and are also listed on the company’s official website. 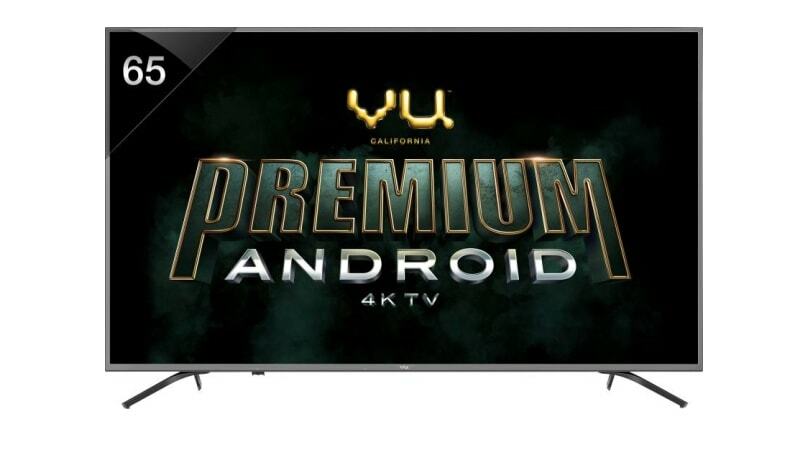 The Vu Premium Android 4K TV range will take on the recently launched Samsung NU6100 range directly, although the pricing is significantly more competitive. The Samsung NU6100 starts at Rs. 41,990 on Flipkart for the 43-inch version, going up to Rs 61,990 for the 55-inch model. Furthermore, a lot of people may prefer the Android TV interface to Samsung’s smart TV interface on the NU6100 series. The Android TV platform was in the news for all the wrong reasons recently, after a privacy issue exposed personal information and images of countless users. The bug was originally discovered on a Vu TV, although it later emerged that the issue was with the Android TV platform itself rather than manufacturer-specific.